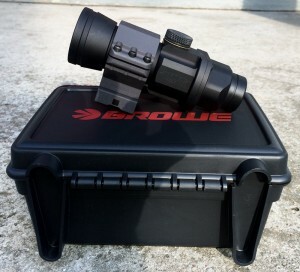 Thank you to Browe for getting a 4x32 Browe Sport Optic (BSO) in our hands for test and evaluation. Above is a few quick iphone pictures. Look for a real review and pictures in the very near future. The 4x32 BROWE SPORT Optic (BSO) is a purpose designed and built optic ideal for AR style rifles and well suited for sportsmen, police, and military. It’s designed and built from high quality precision grade materials and features housing machined from solid Billet 6061-T6 Aluminum, SCHOTT Glass, and FLIR etched mirror reticle. 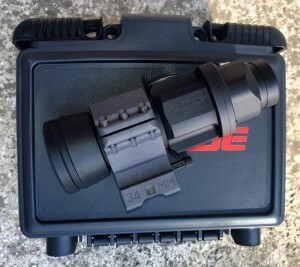 The BSO is designed to be a light weight and versatile optic. The BSO is waterproof, fog proof, and military tough enhancing its ability to survive the rigors of field abuse under the most severe environmental conditions. Available at Browe Direct and Amazon.